It may sound counter-intuitive but, customer complaints are good for business. Many organisations do not make it easy for customers to complain and as a result they delude themselves into thinking all is ok when they may have real problems that go unreported. Also, a customer who takes the trouble to complain, rather than just walk, is open to remaining a customer. For these reasons, organisations need to find creative and easy ways for customers to offer their views – good and bad – and to make sure that when customers do complain, the organisation goes the extra mile to acknowledge and deal with the issue. The ‘complaint recovery paradox’ also points to customer behaviour that is counter-intuitive. 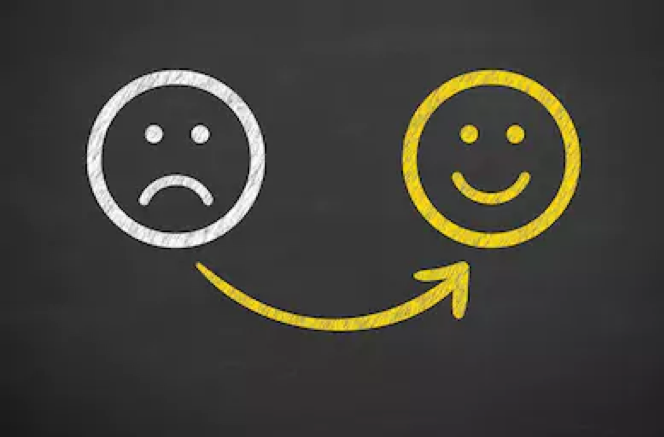 According to the paradox, a customer whose service failures are satisfactorily remedied is likely to be more satisfied, more likely to remain loyal and more likely to engage in favourable word-of-mouth about the company than a customer who had a bland, unremarkable experience. Of course, this is not a reason to create problems for customers, but a real incentive to pull out all the stops to resolve a problem when it occurs. Nearly half of unsatisfactory service encounters are due to employees’ inability or unwillingness to respond to service failures. How often have you heard someone say they contacted an organisation to report something they were unhappy with only to become really angry by the company’s response. This has been referred to as a ‘double deviation’. Service failures and failed recoveries account for over half of the customers who end up taking their business to a competitor. There are real benefits in prioritising and improving complaint handling. Research by the UK’s Institute of Customer Service (ICS) has found that nearly all customers would recommend a company to their friends if a complaint has been resolved efficiently. However, four out of five customers would spread the word if a complaint has been handled badly. Not many organisations seem to be listening to this key customer moment of truth. Despite an overall rise in complaint levels, only one in four employees feel qualified to deal with them and only one in three customer-facing staff are trained to deal with angry customers. During complaint handling, over the phone interaction, trust, openness and transparency are in the hands of the employee managing the complaint. These are the factors that separate top performing organisations from the rest according to the ICS’s reaearch. When a complaint is voiced to an organisation, having an effective complaint management process is critical to retaining the customer. How well a complaint is managed is a key determinant of consumer satisfaction, which is closely correlated with customer loyalty. The successful resolution of complaints is almost as important as ensuring that complaints do not recur. As part of AIB’s commitment to putting customers first, they identified opportunities to improve the management and successful resolution of customer complaints. In the highly regulated banking industry, successful complaint resolution is not only an issue for customers, but the Central Bank of Ireland has a regulatory role to ensure that customer complaints are fairly and successfully resolved. Conor Maguire, Senior Manager of Customer Care at AIB has led the design and implementation of a central customer complaint team who take responsibility for customer complaints that are not resolved within 48 hours of first contact or are complex in nature. This has involved recruiting a team from around the organisation, designing a complaints management process and training over 30 people to support front line employees by taking responsibility to resolve more complex complaints. The initial results have been impressive with a reduction in the time taken to resolve customer complaints of over 50% and a significant improvement in NPS scores from customers who have made a complaint. The team are further developing a process of continuous improvement across AIB to formalise the approach to root cause analysis of complaints and work with colleagues across the organisation to improve processes and fix the most frequent causes of errors that often result in customer complaints. Have a clear, flexible, welcoming and open policy on complaints. A complaint is a gift when a customer gives up their time to help you improve your organisation. Complaints may be made in person, by telephone, by mail/email, or online. Your organisation must be able to handle all these efficiently and consistently no matter which channel they are received through. Give them confidence to tackle difficult customers and support them in their actions. Excellent complaint handling isn’t easy and can sometimes be stressful and feel unrewarding. Confirm the importance of effective complaint management in providing a great customer experience. Employees should be aware that complaints are a top priority item for your organisation and anyone who deals with them must have the authority to resolve them completely. Also remember that successful complaint resolution depends on ensuring that your definition of the right fix is the same as the customer’s. You can learn a lot about problems with internal processes, training, specific employees and product. Capturing and using this data to improve organisation-wide processes is crucial to reducing future causes of complaints and minimising employee frustration with repeated causes of customer dissatisfaction. Think carefully about the key measurements you use; absolute number of complaints, types of complaint and time taken to resolve. Fix the process. Train staff in the issue and eliminate the fault. Wherever possible let the complaining customer know that they have helped you resolve a problem. They’ll come back again and again and will probably spread the word. Apart from the people working in the Customer Relations department, dealing with complaints is thankfully the exception for most front line employees. However the way in which employees respond to a customer who feels angry or annoyed is a defining moment for a brand. It says something about what an organisation values and what it stands for. Some companies have chosen to make complaint handling a point of pride. Others have left it to chance as Ryanair and British Airways have learned to their cost in recent times.